The market analysis is one of the most important parts of any startup strategy. Do it right, and you will have a clear idea of the path down which you are headed. A good market analysis will enable you to lure investors, sidestep pitfalls, and most importantly, attract customers. Bear in mind that all businesses starting out are different, and they may be creating business plans and strategies for different reasons or audiences. If your business is quite small and you know your customers inside and out, this may not be the best use of your time. If this is an internal plan, and there isn’t a need for industry data to corroborate your forecast, a market analysis may not be necessary. Be sure to assess the value of this information for your business, and act accordingly. Market analysis; it’s really exactly what it sounds like: determining the characteristics unique to your particular market and analyzing this information, which will help you make decisions for your business. Your market analysis should include an overview of your industry, a look at your target market, an analysis of your competition, your own projections for your business, and any regulations you’ll need to comply with. This is where you’ll discuss the current state of your industry overall and where it’s headed. Relevant industry metrics like size, trends, life cycle, and projected growth should all be included here. This will let banks or investors see that you know what you’re doing, and have done your homework and come come prepared with the data to back up your business idea. In the industry description section of your market analysis, you were able to look at the general scope. In this section, you’ve got to be specific. It’s important to establish a clear idea of your target market early on. A lot of new entrepreneurs make the rookie mistake of thinking that everyone is their potential market. To put it simply, they’re not. User Persona and Characteristics: You’ll want to include demographics such as age, income, and location here. You’ll also need to dial into your customers’ psychographics as well. You should know what their interests and buying habits are, as well as be able to explain why you’re in the best position to meet their needs. Market size: This is where you want to get real, both with the potential readers of your business plan and with yourself. Do your research and find out who and where your competitors are, and how much your customers spend annually on your product or service. How big is the potential market for your business? Market: How big is the market for goods and services similar to what you plan on offering? What’s the growth rate? Include the general outlook and trends for this market. Who are your main competitors? Are there any secondary competitors who could impact your business? Competitor strengths and weaknesses: What is your competition good at? Where do they fall behind? Get imaginative to spot opportunities to excel where others are falling short. The importance of your target market to competitors: Ideally, you’re going after customers whose needs aren’t being met by your competitors. Barriers to entry: What are the potential pitfalls of entering your particular market? What’s the cost of entry—is it prohibitively high, or can anyone enter your market? This is where you examine your weaknesses. Be honest, with investors and yourself. Being unrealistic is not going to make you look good. Market share: When you know how much money your future customers spend, you’ll know how much of the market you have a chance to grab. Be practical, but don’t sell yourself short. Make sure you are able to explain how you came up with your numbers. Pricing and gross margin: This is where you’ll lay out your pricing structure and discuss any discounts you plan to offer. Your gross margin is the difference between your cost and the sales price. Again, be realistic yet optimistic. Optimistic projections not only serve as a guide, they can be a motivator. Are there any specific governmental regulations or restrictions on your market? If so, you’ll need to bring them up here and discuss how you’re going to comply with them. You will also need to address the cost of compliance. Addressing these issues is essential if you are seeking investment or money from a lender, and everything has to be legally squared away and above board. Your current customers: If your business is already up and running, your current customers are an invaluable resource. They are your existing market. You can use online surveys or social media to gather feedback about buying habits, needs, and other psychographic information. U.S. Census Bureau: Here’s where you’ll find demographics you can use to figure out your market share. There is plenty of other information you can use in your market analysis here as well. Business.gov: The go-to place for national industry information, as well as links for state and local resources. U.S. Small Business Administration: The SBA offers industry guides, development programs, and local resources, as well as loan guarantees when the time comes. Bureau of Labor Statistics: The BLS is the place to find out where your industry has been and where it is headed. Commerce.gov: The U.S. Department of Commerce has a lot of good general information that you may be able to use, depending on your industry. Internet: You can do internet searches to find information about any state or local regulations or licenses you may need for your industry. As always, there’s a lot of stuff out there, so make sure you’re depending on reliable sources. For your market analysis, Wikipedia won’t cut it. On the other hand, you can find plenty of useful information, including sample business plans right here on Bplans, where you can also obtain free industry reportsas well. Michael Kerr began his professional life as an entrepreneur. He built and managed a number of successful businesses before returning to school to indulge his passion for writing. What Do Your Gums Say About Your Overall Health? We Partnered With Dr. Marjorie Jeffcoat in a Landmark Study To Understand the Relationship Between Gum Disease and Chronic Conditions. How Big is Your Potential Market, Really? If you’re writing a business plan, you’re in luck. Online business planning software makes it easier than ever before to put together a business plan for your business. 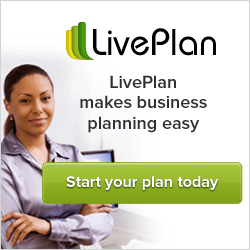 As you’ll see in a moment, LivePlan is more than just business plan software, though. It’s a knowledgable guide combined with a professional designer coupled with a financial wizard. It’ll help you get over the three most common business hurdles with ease. Let’s take a look at those common hurdles, and see how producing a top–notch business plan sets your business up for success. © 1996 – 2015 PALO ALTO SOFTWARE. ALL RIGHTS RESERVED WE’RE HIRING.